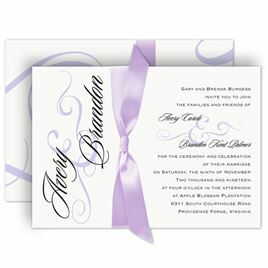 When your wedding is all about elegance, your wedding invitation should reflect that elegant sense of style. 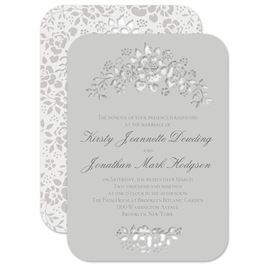 Invitations by Dawn knows all about elegant wedding invitations. 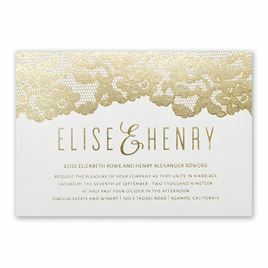 Share the news of your upcoming wedding through the beauty of sophisticated monograms, vintage patterns, rich embossing and shimmering foils. 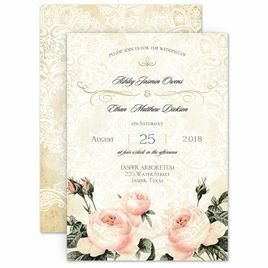 Since you’ve chosen a more classic wedding invitation route, you’ll want to browse the other pieces that make up your wedding invitation ensemble. 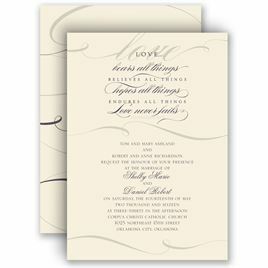 The two most important pieces you’ll need are response cards, and reception cards. 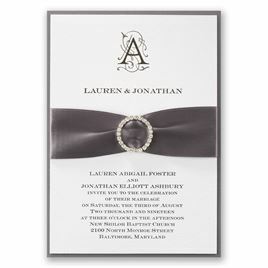 Most of our wedding invitations are available with matching response cards and reception cards so you don’t have to worry about creating an ensemble that matches perfectly. 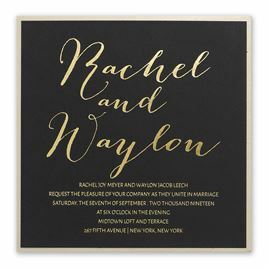 We’ve done that work for you! 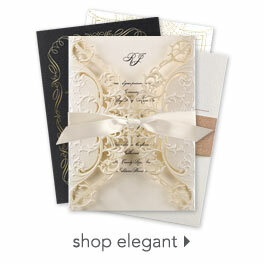 You just have to choose the enclosure cards you want when ordering your wedding invitations. 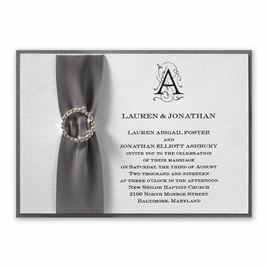 Want to give your invitation an elegant finishing touch? 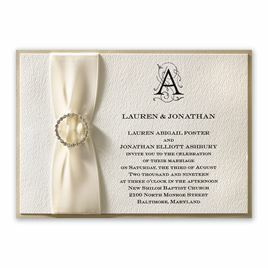 Check out our collection of personalized address stamps and find a design that complements your wedding invitation.